No detail was missed and no expense spared in this gorgeous convertible two bedroom apartment. Everything in the space is brand new including a stainless steel chef's kitchen and a designer tiled bathroom. The beautiful oversized windows overlook the river and city and offer breathtaking vistas and very sunny southeastern exposure. There are also three huge closets all with California built-ins. Brand new cherry wood floors. A must see apartment to appreciate. 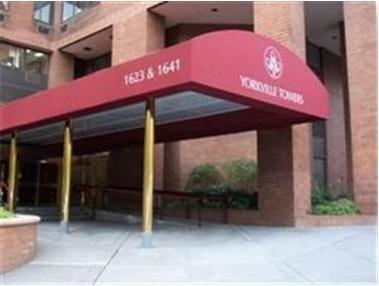 Building has brand new lobby and offers full valet services, bike storage, garage and a sundeck with barbeque grills. Note: All major utilities are included in the common charges.